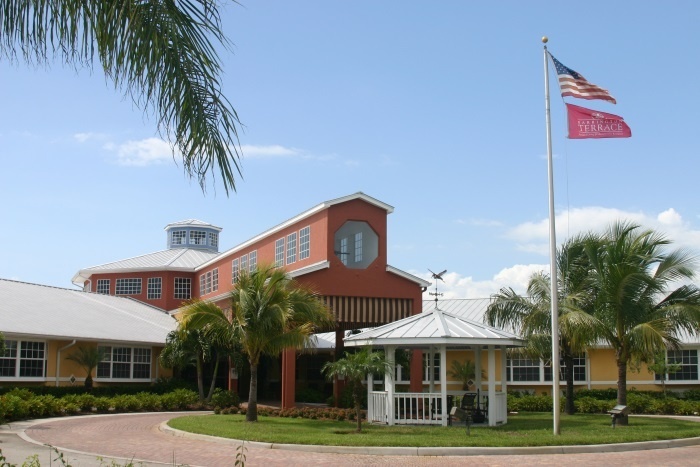 Barrington Terrace of Naples offers quality assisted living and dementia care in Florida's beautiful East Naples area. Barrington Terrace is a proud member of the Struthers Parkinson’s Care Network (SPCN). 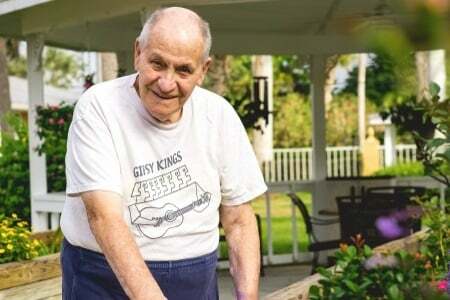 The training and support our staff members receive help them to provide quality care for individuals with Parkinson’s disease in the Naples area. 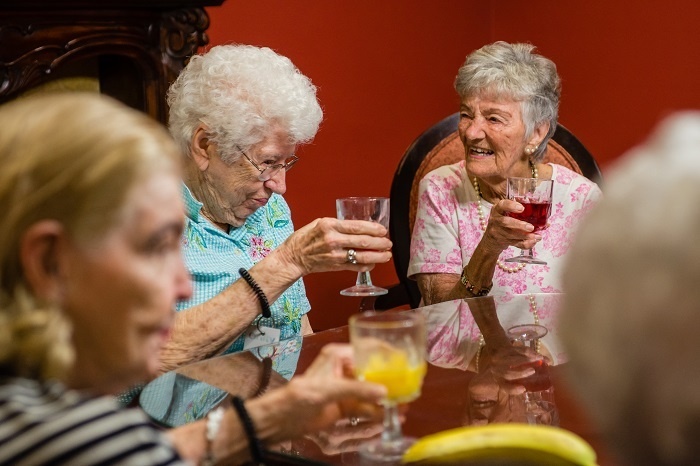 Barrington Terrace’s membership in the SPCN reflects our commitment to individuals and families living with Parkinson’s. 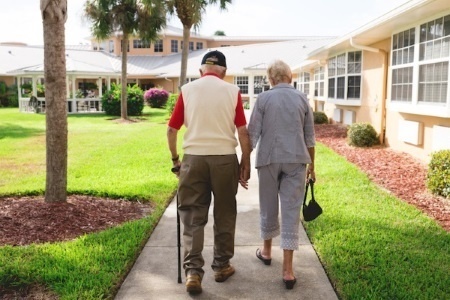 Along with medication & continence management, full assistance is available with reminders, redirection and social support. 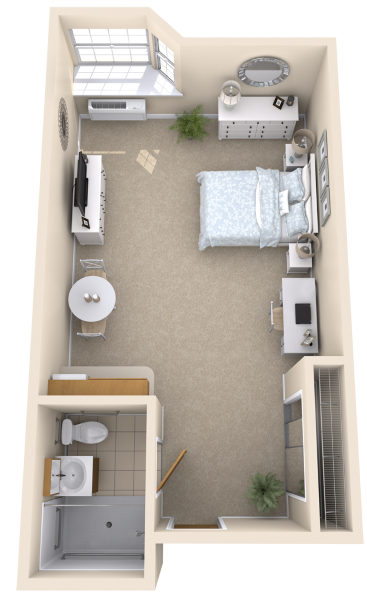 If you choose Barrington Terrace, you’ll get to know us, and we’ll get to know you. 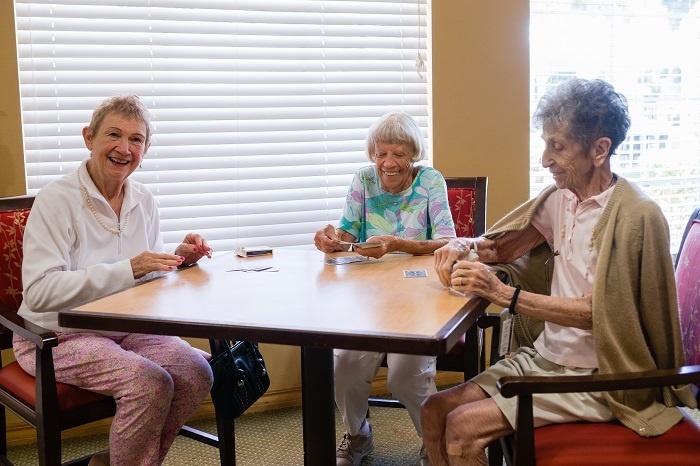 We pride ourselves on building personal, trusting relationships, and we use innovative programs to help us connect with you. Simply put, Barrington Terrace knows senior living. 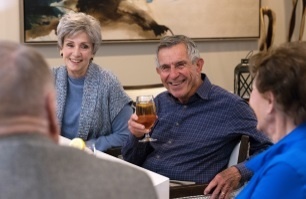 We have more than 30 years of experience in serving seniors & guarantee you'll enjoy living here with our 60-day money-back guarantee. "A year ago, my husband became someone we didn’t recognize. Dementia made its presence known and fear, confusion and hopelessness became part of our families’ life. Barrington Terrace staff reached out to us with open arms, loving support and much-needed information. Now my husband is surrounded by people he knows and trusts, lives in a safe environment and understands the reality of dementia. We are so grateful for your loving support." Tammy has more than 25 years experience in a variety of healthcare environments including hospice, home health, Long Term Care Insurance and pharmaceutical sales covering sales, operations and clinical management. She is an innovative and seasoned executive level Healthcare leader and speaker in the industry. She holds both a Master’s and Bachelor’s degree from Indiana Wesleyan University in Business Management. She is a Certified Trainer for NCCDP Alzheimer’s and Dementia Seminar and a Certified Dementia Professional. Tammy is passionate about Alzheimer’s/Dementia care and dedicates time to speak to the community and educate other healthcare professionals on how best to serve these very special clients. She lives in Naples with her husband, two children and three therapy/service dogs. Sommer has lived in Naples for 15 years. She started working in the healthcare field when she was 15 years old and has always been most fulfilled when serving seniors. 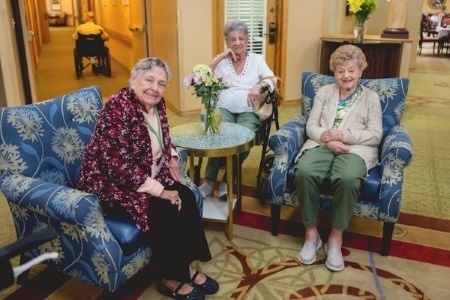 She was an activity professional for over seven years at a skilled nursing community where she shared her passion for life and fun with her residents. Sommer joined Barrington Terrace in June 2015 and brings great warmth and enthusiasm to our team. Sommer has a 21 year-old son, Devon, and, in her free time, enjoys running and travel. Linda is an LPN with nine years of experience in skilled nursing, wound care, memory care and MDS. She was born and raised in New Jersey and went to nursing school in Miami, Florida. She has a daughter and son and is currently enrolled in classes to further her degree and career. I have over 20 years of experience in restaurants, hotels and healthcare dining. I have worked in upscale communities as an executive chef and food and beverage manager prior to joining Barrington Terrace Naples. 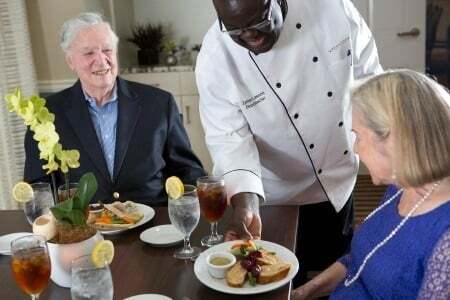 I am passionate about food and serving well-balanced and delicious meals to seniors. I enjoy taking my time to listen to food requests and suggestions. My hobbies include kayaking and miniature sail boating. Julie joined Barrington Terrace in January of 2017, has been in Clinical Management & Operations in Collier County Healthcare for close to 30 years, primarily in the fields of hospice and mental health. She holds a Bachelor’s degree in Sociology/Social Work from Florida Southern College, and a Master’s Degree in Public Administration from Hodges University. Julie has two sons, lives in Naples with her husband and therapy dog, Bailey. In her spare time, she enjoys reading, traveling, and volunteering. Born in Cleveland, Ohio. I Moved to Naples 14 months ago. 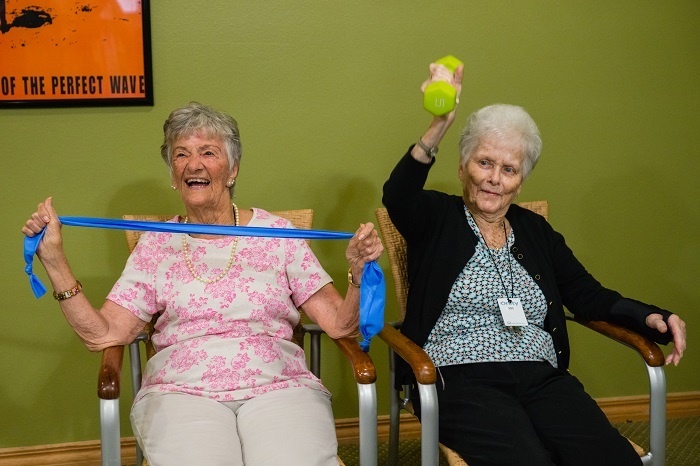 As a Certified Activity Director I have worked in the Assisted Living/Memory Care field for 24 years. 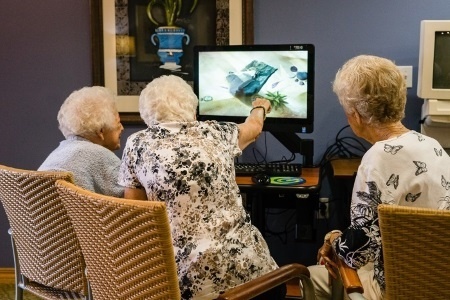 Working with the elderly has always been a passion of mine. My hobbies are boating, reading, and discovering all the wonderful adventures in Naples. 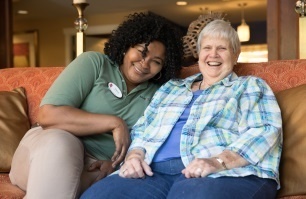 Phyllis is an LPN with over 20 years experience in Assisted Living. She is a true “Florida Cracker” born and raised in Florida. She has been with Barrington Terrace for over 8 years and feels she is so fortunate to have found the home she was looking for in her career. She has a daughter and two sons, 5 grandchildren and 1 great-granddaughter. 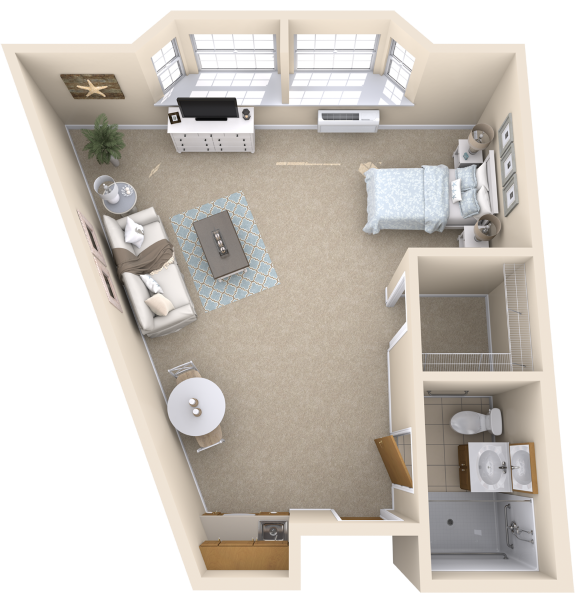 Barrington Terrace is more affordable than you might think. 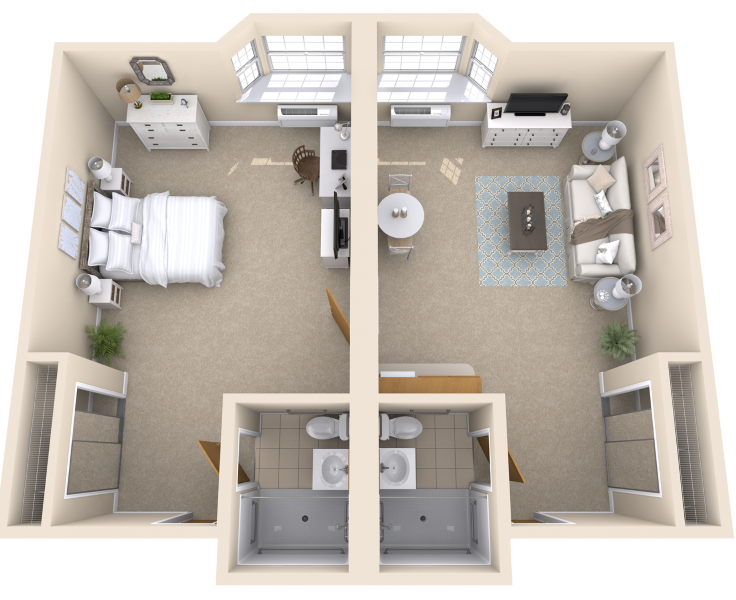 Create the right combination of floor plan and healthcare services based on your choice of apartment and care needs. 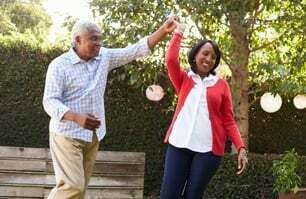 A complimentary wellness assessment will be provided to determine your individualized care needs. 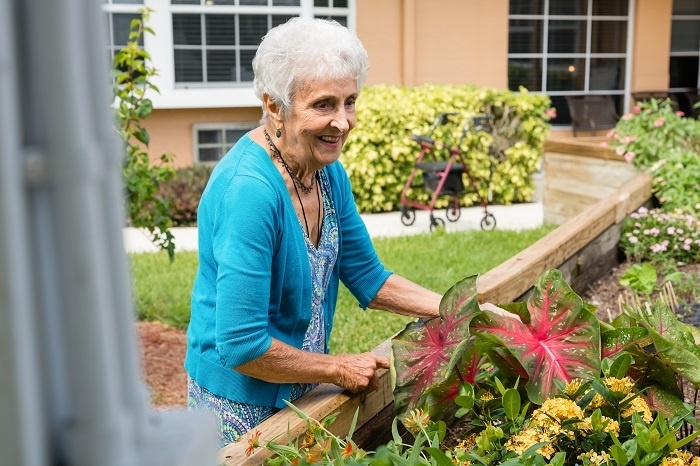 If senior living has ever crossed your mind, you owe it to yourself to learn more about Barrington Terrace of Naples. Call (239) 775-5050 for more information.